The runaway hit of numerous international music festivals is hitting the road for its first U.S. tour! Known across the globe as "the ultimate feel-good show," THE CHOIR OF MAN offers up 90 minutes of indisputable joy! It's a party. It's a concert. It's a pint-filled good time set in a working pub that combines hair-raising harmonies, high-energy dance, and live percussion with foot-stomping choreography. The multi-talented cast of nine handsome blokes sings everything - pub tunes, folk, Broadway, classic rock - all to roof-raising heights. It's the best singing, dancing, stomping, pub crawl of a concert you'll ever see! CHEERS! "...Here's what you are buying with your March dollars. Nine good-lookin', charming, fine-voiced fellas, all either Irish or British, standing around on a set designed to look like a pub, with one wall on one side of the Irish Sea and one wall on the other. In this fantasy alehouse, blissfully unaffected by Brexit, these genial, openly emotionally blokes warble their way through a variety of highly amplified pop and roots standards - omni-dude, mostly semi-a-capella versions of hits by your Adele and your Katy Perry, retro re-dos like "Fifty Ways to Leave Your Lover," multi-party harmonics on Queen, fun with the Red Hot Chili Peppers, voyages into the shady musical universe of "Guns 'N' Roses," even a very nice "The Impossible Dream" from "Man of La Mancha."" "...Meanwhile, "The Choir of Man" is left with nothing but tunes and brews, just the way they want it. No matter how many kilowatts of alien voltage may be powering the thing beneath the hood, one can't deny that "The Choir of Man" is a smooth and pleasurable ride." "...There's no need for a plot, three-dimensional characters, or conflicts pending resolution - no, not when the setting and its songs sell themselves from the start. That feel-good premise pays off over 80 minutes in The Choir of Men, a British import now playing Chicago's Broadway Playhouse on its first North American tour." 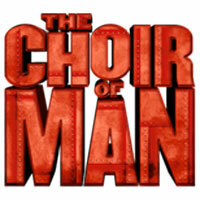 "...If one is seeking 88 minutes of fun-filled entertainment, then they might want to hurry and get to see the International sensation, "The Choir of Man" as it starts its world tour at Broadway in Chicago's Broadway Playhouse, located at Water Tower Place on Michigan Ave. at Chestnut ( 175 East Chestnut to be exact). There are nine extremely talented, and also quite good- looking. celebrating music that has great appeal to the masses. Nothing original about this show's music. It is the music of Adele, Queen, Katy Perry, Red Hot Chili Peppers, Paul Simon and even a marvelous rendition of Man of La Mancha's "Impossible Dream". You will not believe the range of Andrew Bateup." "...To cut to the chase: "The Choir of Man" is far and away the finest show to arrive on the stage of the Broadway Playhouse in many, many years. But wouldn't you just know it, it's only here for eight performances through Sunday." "...Narrator suggests that we will look into what being a man is all about, but they tread lightly on the subject, and the tone is more smiles and Facebook thumbs up. The performers are versatile, singing, dancing, and several play a variety of instruments. You will laugh and experience touching moments - like the wonderful rendition of Dancing With My Father as The Choir of Man works its winning ways on the audience." "...THE CHOIR OF MAN is exhilarating. The familiar songs are dynamically sung. And these fellas are fun to hang out with. After a standing ovation, the lads sang an encore. It was a gorgeous lullaby sendoff from their country. I'd drink to and with THE CHOIR OF MAN... Slainte! I left their show grinning and humming. " "...This is good clean well-intentioned, high caliber, fun. Perfect, if you happen to be in town for a visit or just looking for something to do before or after a nice dinner near Michigan Avenue or Rush Street."